Playable Demo: http://www.fastswf.com/orNG6bw A set of vector game asset / graphic / sprite / art contains ground tiles and several items / objects / decorations, used for creating platformer games. 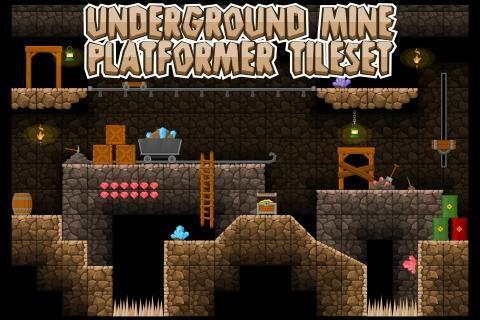 Suitable for platformer games with mining, cave, underground, dungeon, horror, and or similar themes. Full vector, so you can scale it at any size, without losing it’s quality. Also fully customizable. File included: CorelDraw CDR, Adobe Illustrator AI, EPS, PDF, and PNG Optimized for Tiled Map Editor with 64×64 px tiles. 128×128 px separate PNG tiles added (non-tile object’s size also adjusted). Big enough for HD games, and should be easier to resize them to lower resolutions. 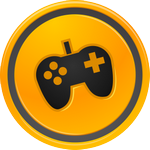 A set of vector game asset / graphic / sprite / art contains ground tiles and several items / objects / decorations, used for creating platformer games. 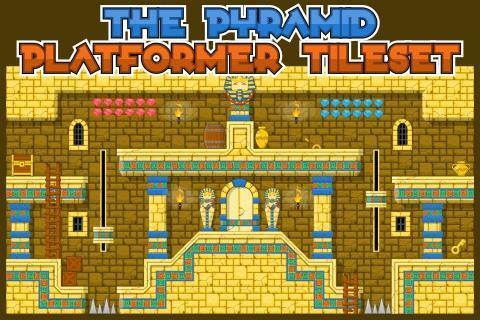 Suitable for platformer games with pyramid, ancient egypt, arabian, temple, persian, mesopotamian, babylonian, and or similar themes. Full vector, so you can scale it at any size, without losing it’s quality. Also fully customizable. File included: CorelDraw CDR, Adobe Illustrator AI, EPS, PDF, PNG, and JPG Optimized for Tiled Map Editor with 64×64 px tiles. 128×128 px separate PNG tiles added (non-tile object’s size also adjusted). Big enough for HD games, and should be easier to resize them to lower resolutions. Playable Demo: http://www.fastswf.com/YV8Kcm0 A set of vector game asset / graphic / sprite / art contains ground tiles and several items / objects / decorations, used for creating platformer games. 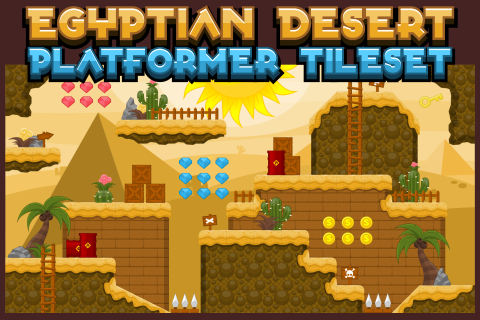 Suitable for platformer games with desert, egypt, pyramid, sand, beach, and wasteland theme. Full vector, so you can scale it at any size, without losing it’s quality. Also fully customizable. File included: CorelDraw CDR, Adobe Illustrator AI, EPS, PDF, PNG, and JPG Optimized for Tiled Map Editor with 64×64 px tiles. 128×128 px separate PNG tiles added (non-tile object’s size also adjusted). Big enough for HD games, and should be easier to resize them to lower resolutions. 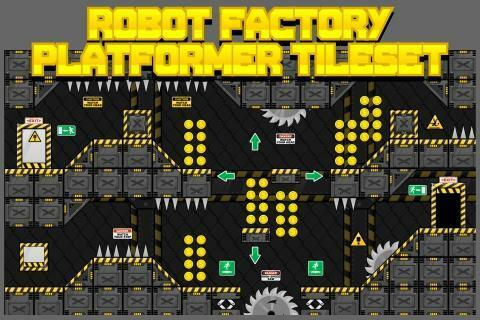 Playable Demo: https://www.fastswf.com/nNS3lOc A set of game asset / sprite / graphic / art, contains 8 ground tiles, used for creating platformer games. Plus some additional items (trampoline, coins, door, etc). Suitable for 2D video games with futuristic, robotic, space, or factory themes. Full vector, so you can scale it at any size, without losing its quality. File included: CorelDraw CDR, Adobe Illustrator AI, EPS, PDF, PNG, and JPG Optimized for Tiled Map Editor with 64×64 px tiles. 128×128 px separate PNG tiles added (non-tile object’s size also adjusted). Big enough for HD games, and should be easier to resize them to lower resolutions.